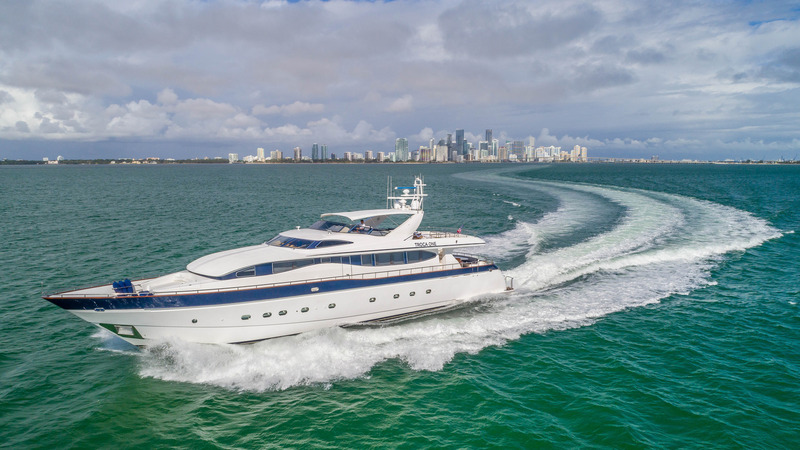 Delivered in 2002 and refitted in 2017, the Viking Sports Cruiser TROCA ONE (Ex Kristina) is 32,92m (108’) and accommodates 8 charter guests, in 4 cabins. 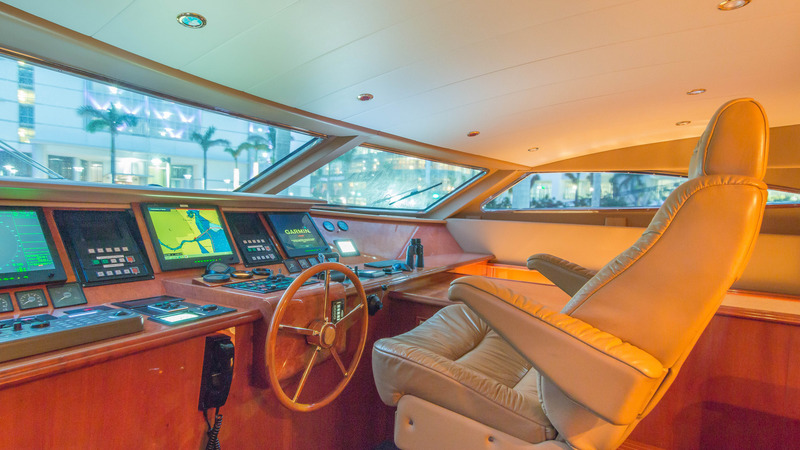 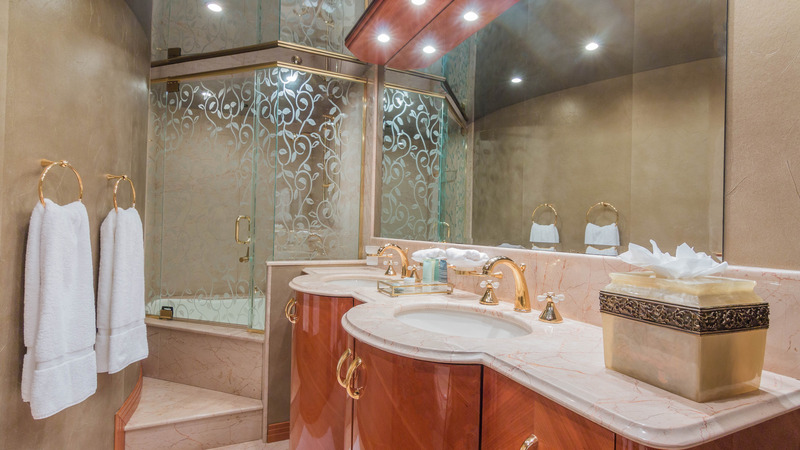 Naval Architecture was created in-house by Viking, while her interior design is the work of Melody Savio. 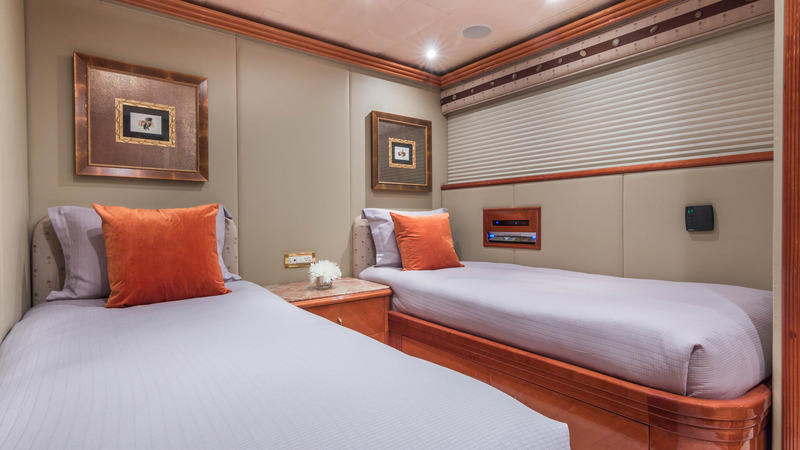 Her interior décor is wonderfully inviting and elegant, with soothing neutral toned fabrics and warm wood panels. 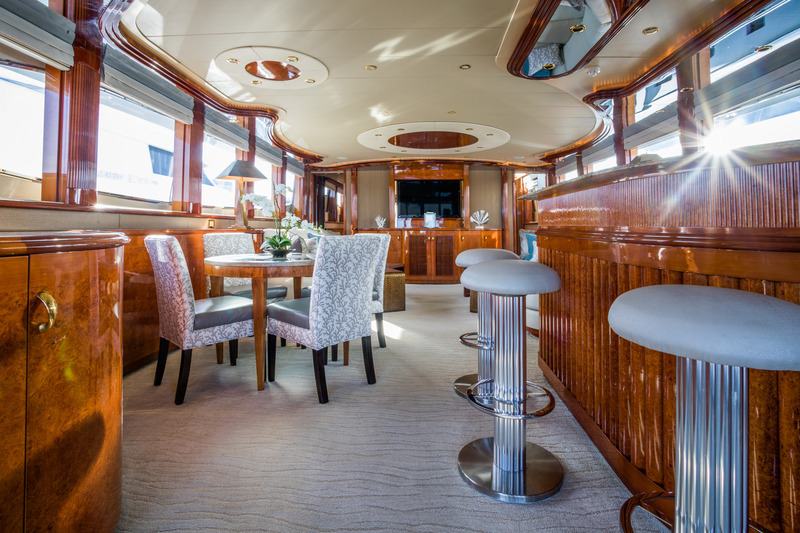 Entering the main salon from the aft deck, guests are greeted by a social wet bar, cocktail table, and generous lounge. 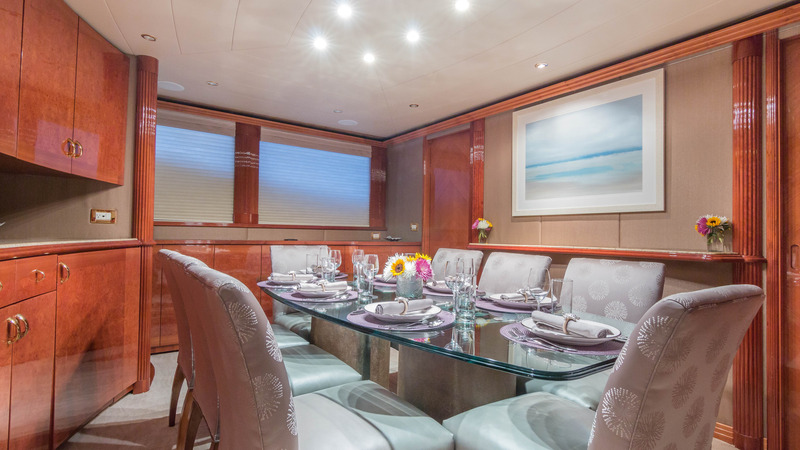 Further forward is a formal dining area seating 8. 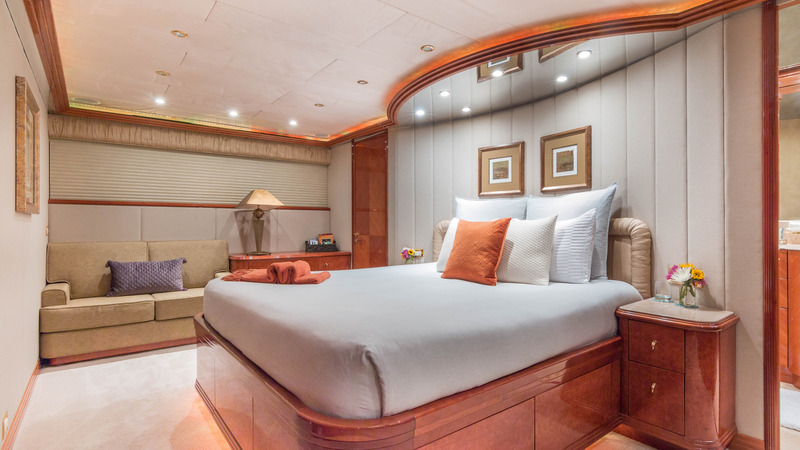 The lower deck accommodation is spacious in 1 master, 1 VIP and 2 twin cabins. 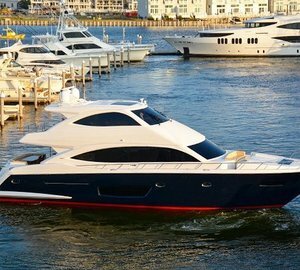 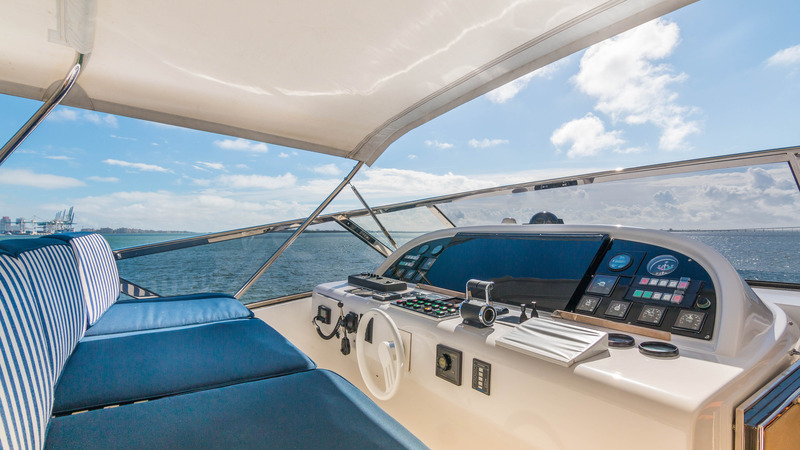 The Viking Sports Cruiser’s outdoor living is ideally suited for luxury charter, offering plenty of areas to relax and entertain. 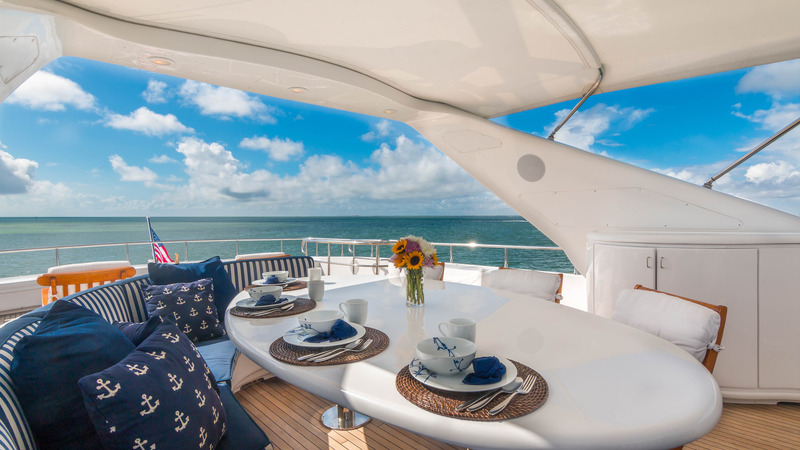 An aft deck is shaded with alfresco dining and seating, a great spot to also watch the water toys in action, from the extended swim platform. 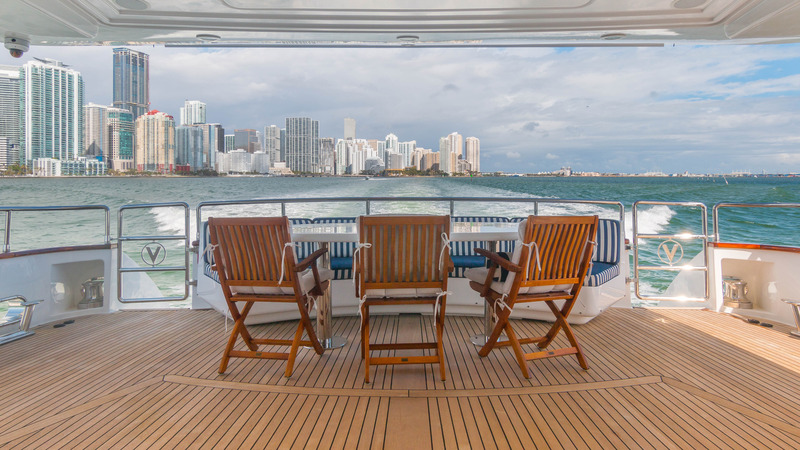 Sun lovers will appreciate a quiet escape to the large bow sunpad. 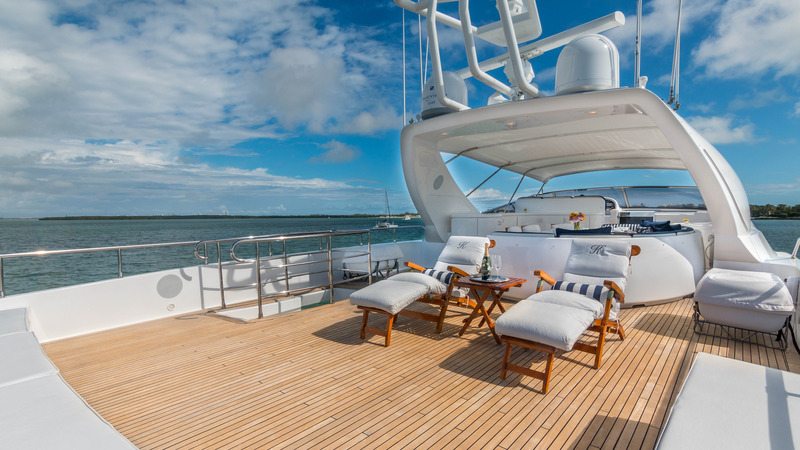 The upper deck is impressively laid out with a further alfresco dining table, sunpads and chaise loungers. 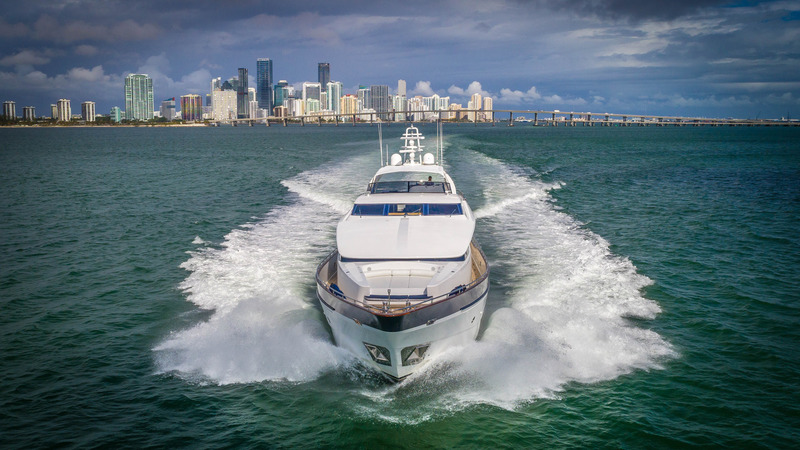 Powered by 2 x DDC MTU 1800hp engines, the semi-displacement hull of TROCA ONE has cruising capabilities of 12 knots and top speeds of 22 knots. 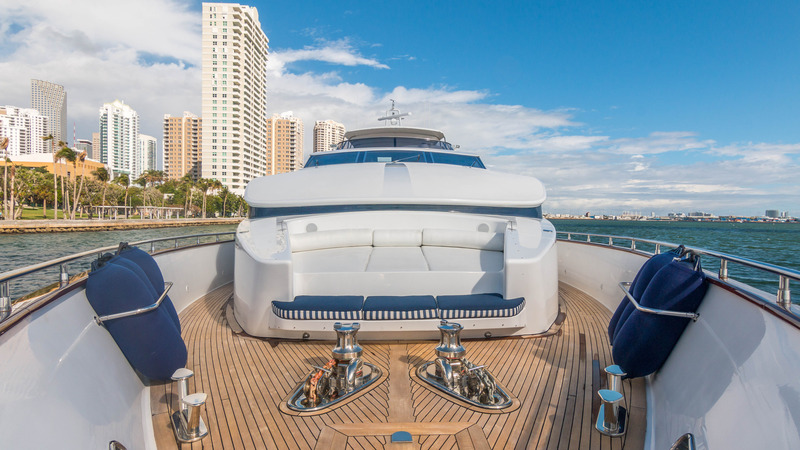 The yacht is fitted with underway stabilizers. 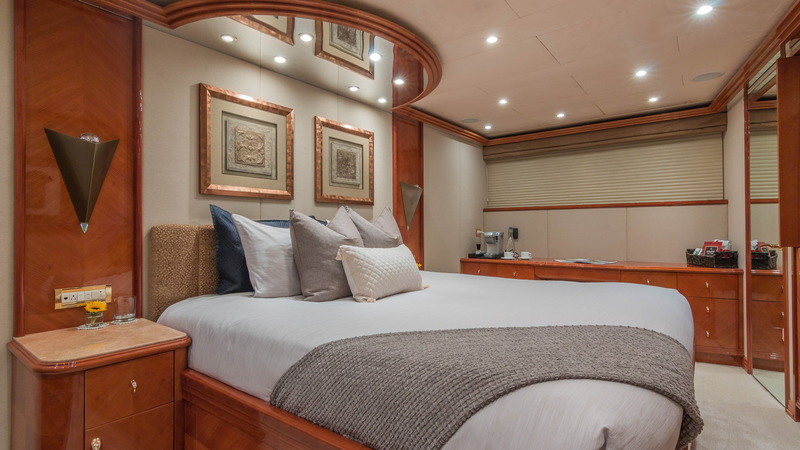 Accommodation is concentrated on the lower deck and consists of a Master suite, a double cabin and two twin cabins. 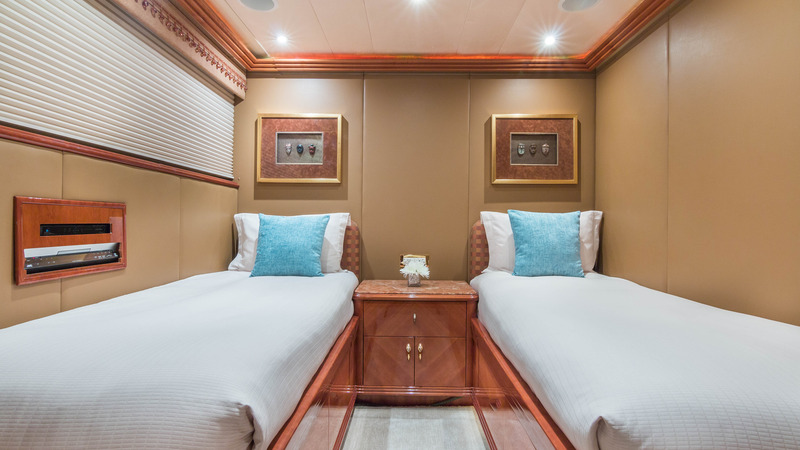 Each room is meticulously styled in using wooden paneling with cherry hues and neutral furnishings in robin's egg blue beside coral orange accents. 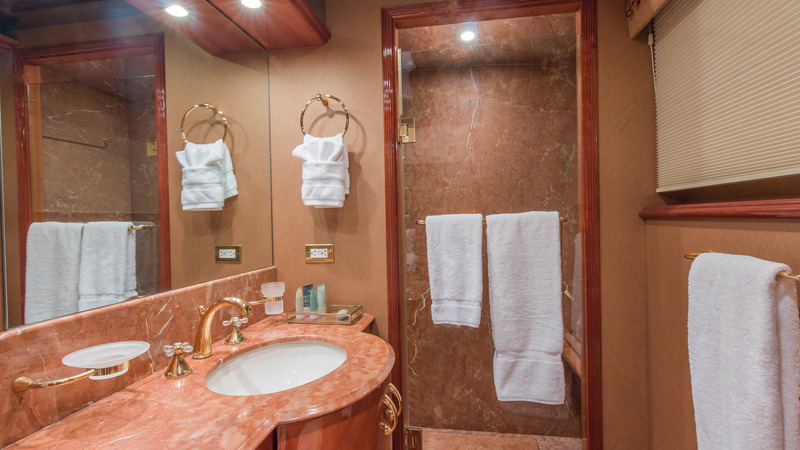 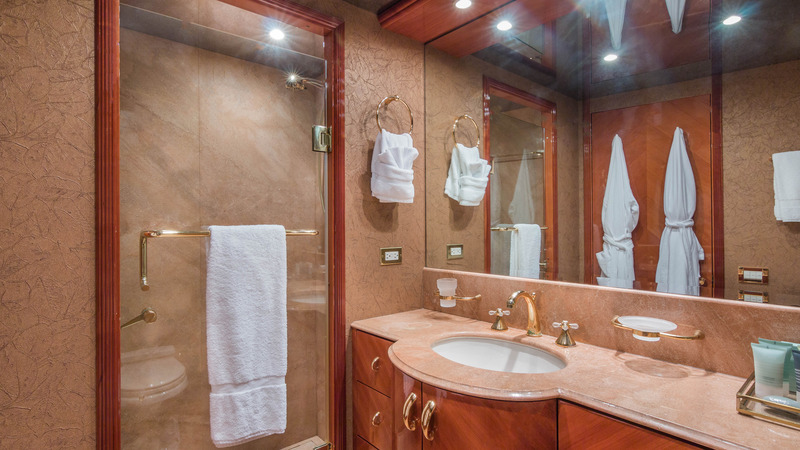 All cabins have en-suite facilities, which have just as much attention to detail.